It’s the weekend before Christmas. The last days of Hanukkah. 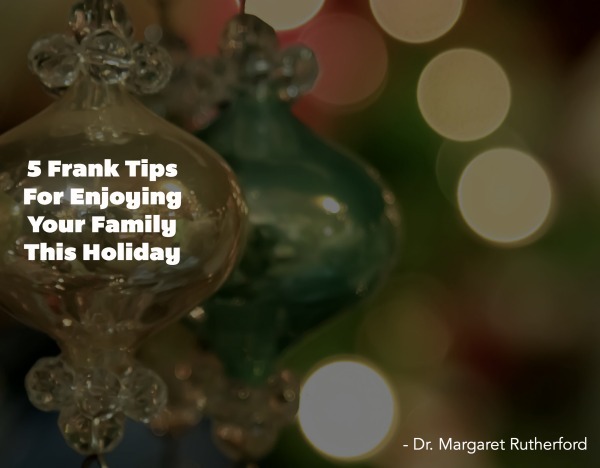 I have listened these past weeks how patients are preparing for the holiday. Everything from looking forward to it, to fearing pure chaos, to expecting complete authoritarian rule. Relatives fighting one another, swearing they won’t come if so-and-so is there. Old wounds, never resolved, that either creep or blast their way into the present. Or the family whose holiday is strictly planned. Extremely orchestrated. Gilt to the hilt. Every spoon and dessert fork in place. Some families do manage to hit, even maintain, a common ground. A comfort level with each other that seems to abide. There may be issues. But they are managed. What’s going on? Families. They are supposed to be our buttress. Our go-to. Our safe asylum. Perhaps for the lucky. Families are flawed because people are flawed. So many people in this season grieve the family that should have been. Could have been. Are dealing with the family that is. From serious problems to irritating disappointments. Aunt Jennifer will sip too much eggnog. Say something nasty to you or worse, one of your children. Grandma Serena will demand that all the family gather at her house. When you would rather start Christmas traditions in your own home. Cousin Jacob will show up unexpectedly, right as you are about to take 20 minutes for yourself, to “sit and visit.” Your father-in-law will chide you, “You gave me too much food again. I can’t eat that much.” Without a thank you. Or a smile. What can help you through? 1) Use an “observer” stance. This is when you subtly detach from the goings-on of the day. Not that you are not involved or friendly. But you observe yourself and others almost as if you were going to write a report on your own family, “My Family Interactions At The Holiday.” It keeps your perspective more objective. Remind yourself of what you know about the people in your family that makes them act the way they do – that has nothing to do with you. “What do I know about my brother that might cause him to not give me a hug that isn’t about me? He is unhappy in his marriage. He may be depressed. Maybe he didn’t shower…” You get my point. If you can answer the question, you are more likely to shrug a hurtful behavior off. So it doesn’t ruin your day. 3) Realize you can act badly. Maybe you yourself are a little controlling. Not very go with the flow. Maybe you are feeling bad about yourself, having a rough time, and are more sensitive at the moment. Maybe you are plain exhausted. Take responsibility for your own potential to take things the wrong way or be difficult. Then your half of any problem will be much easier to admit. Resolve if necessary. Either in your own mind or with someone else. 4) Look for the good. Most folks get up in the morning with the intent to live their lives the best they can that day. If you focus on what is good about people, then that will grow in your mind. You will be able to notice those things and enjoy the relationship. There are definitely exceptions to this. People with sociopathic or abusive behaviors. Those that seem to live to manipulate or deride others. Those that have addictions that are out of control. If you have someone like this in your family, there is a problem that is much more significant than a simple holiday disappointment. Please reach out. Talk to someone who could help you figure out a strategy for some kind of action. 5) Hang out with your family of choice. 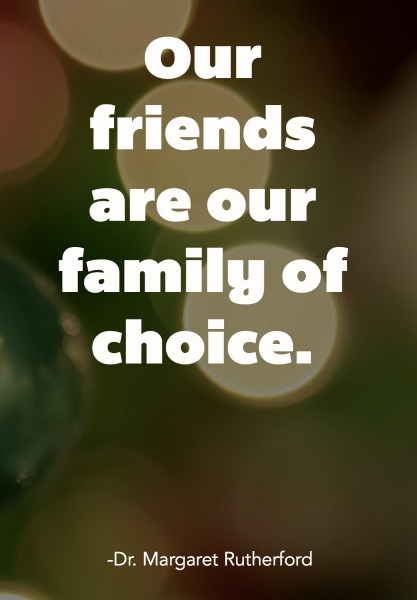 Our friends are our family of choice. The one you have created all on your own. They can often provide what your family of origin won’t. Or isn’t capable of offering. If you can absorb those things from your good friends, then whatever pain or issue you have with your biological family will not feel as intense. Disappointing perhaps. But not as hurtful. So breathe. Be mindful. Love where you can. Enjoy what there is to enjoy. Relax a little. May you have a meaningful and peaceful holiday. Merry Christmas. Happy Hanukkah. From me to you. If you enjoyed this post, please comment below or share with others! 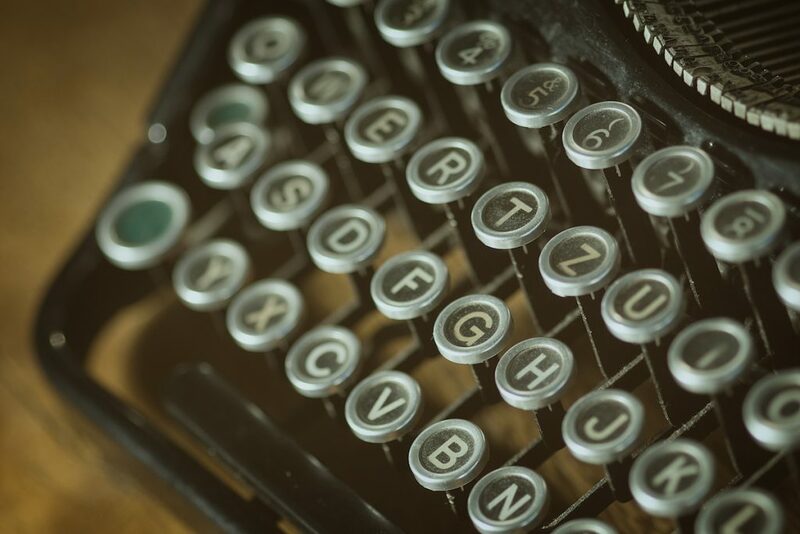 Especially at this time of the year, I thank you for taking the time to read. Please SUBSCRIBE in the gray box above! With your subscription, you will receive my new e-book! “Seven Commandments Of Good Therapy”. A book about the basics of what you can expect a competent therapist and good therapy to be! It’s no mystery! 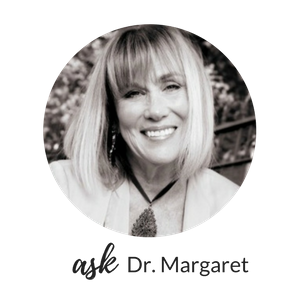 All other questions and comments can be sent to askdrmargaret@146.66.99.73.